I’m so excited to guest post on Tatertots & Jello today! I’m Jamie, one of the “chicks” at theCraftingChicks.com. We are huge fans of Jen…we love her, & her amazing site. 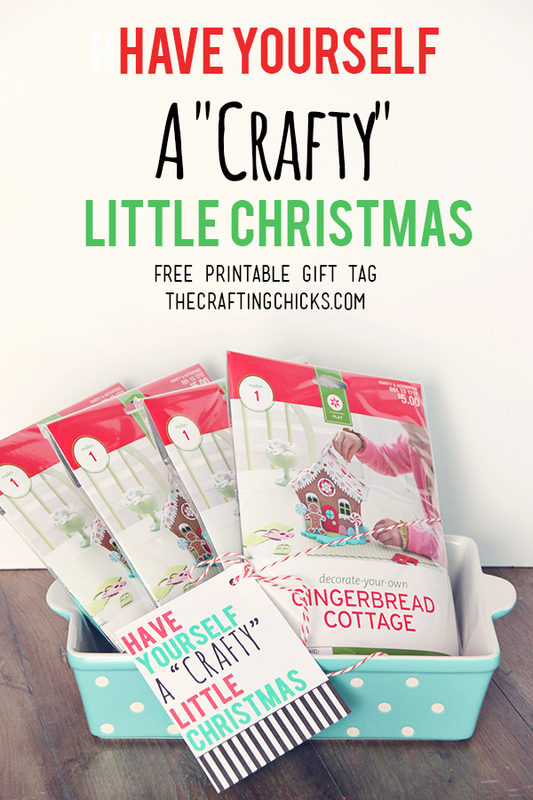 Over at The Crafting Chicks, we love to inspire our readers and share fun ideas to “create your life.” Today I’m sharing a free printable gift tag for you! 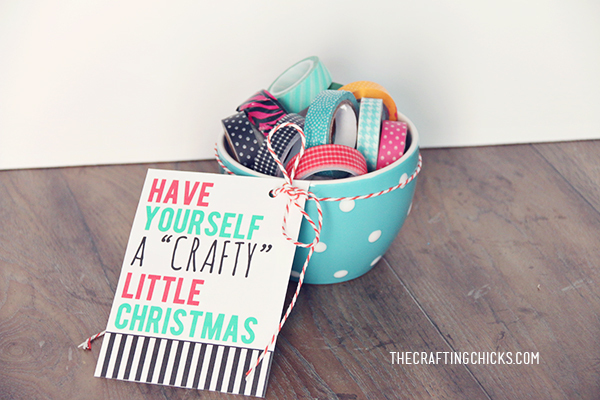 A Christmas gift tag to go along with any crafty gift. You can attach this to a kid craft, diy kit, or craft supply, etc. This tag is fun to tie onto washi tape too! I have some creative friends who would love a gift like this. 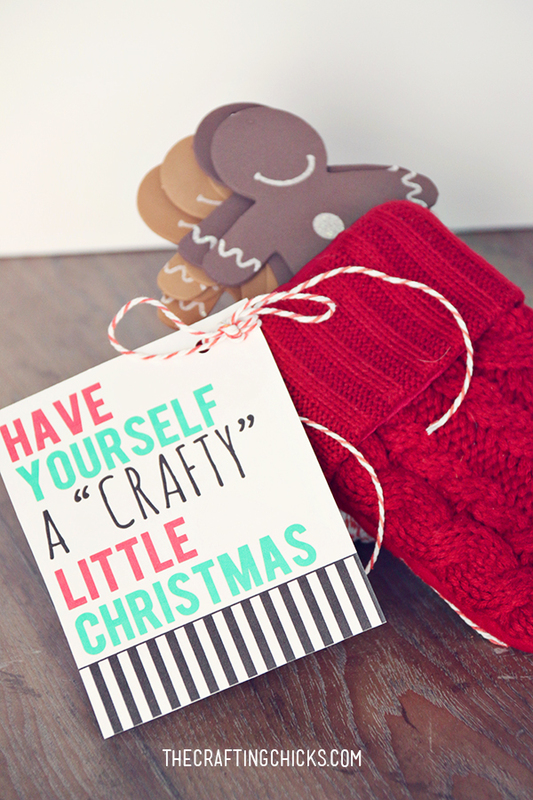 Some of the best kid gifts are ones that promote creativity! 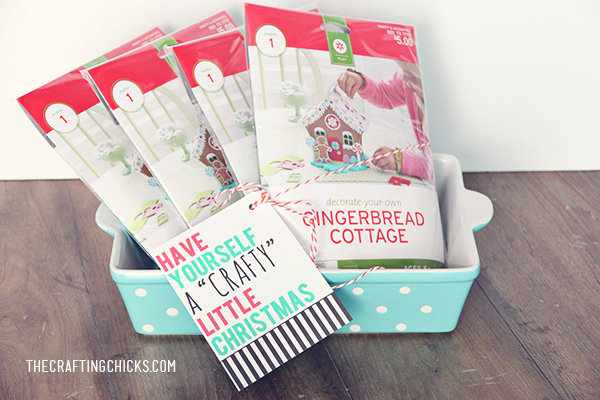 Another cute idea is a gingerbread craft kit…add to a mini stocking. 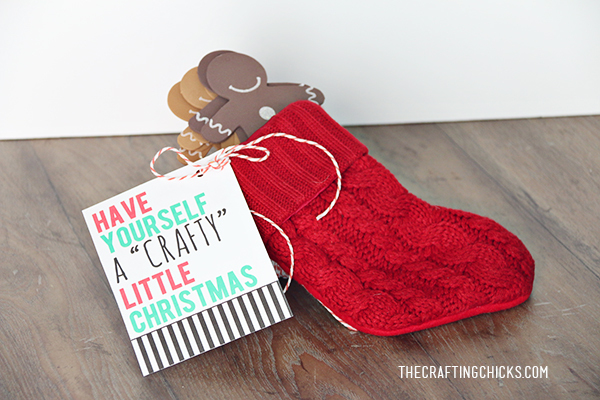 Thanks for letting me share this fun gift idea with you today! Merry Christmas! If you’re still looking for a fun Thanksgiving idea for showing your gratitude, this Thankful Tree with Silver Leaves Printable is adorable! And this fun Jingle All the Way Christmas Pillow is the perfect touch for your holiday decor! 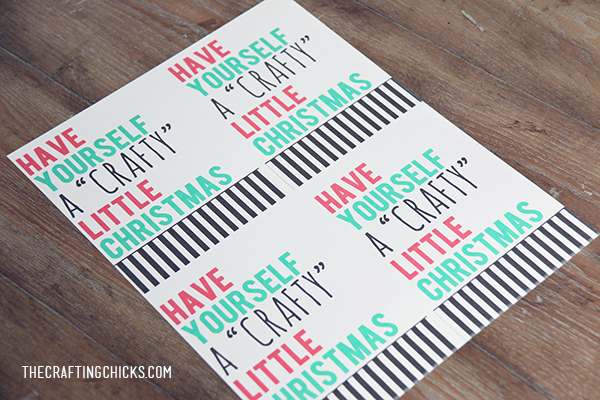 And this Handprinted Chalkboard Ornament is so pretty! Such a pretty idea for your tree.